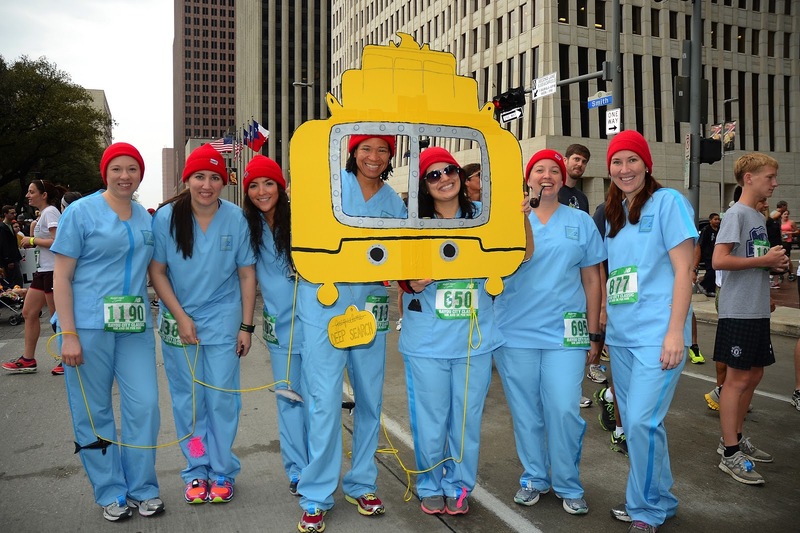 The Bayou City Classic 10k is Houston's premier 10k race and walk! 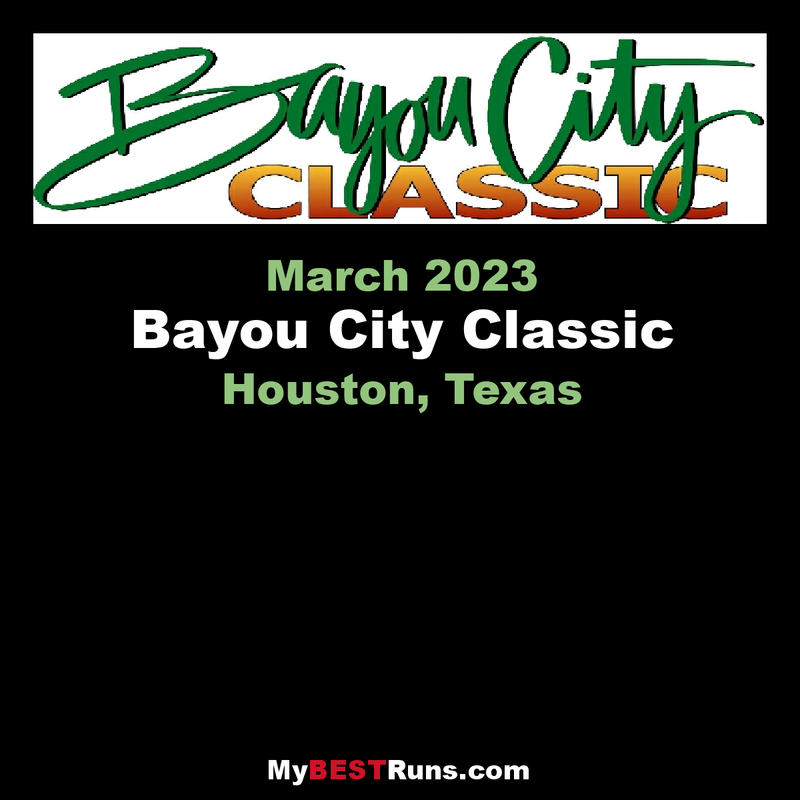 The Bayou City Classic 10k has been a Houston tradition for more than 30 years and attracts more than 3000 runners, walkers, and volunteers. 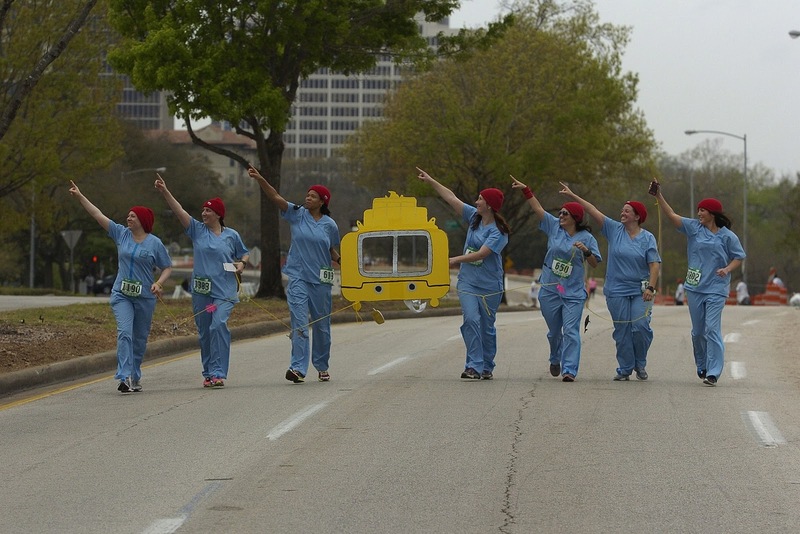 We'll be continuing the Bayou City Classic 5k Fun Run & Walk which was added in 2012 for more family fun!. Proceeds from the Bayou City Classic go toward helping maintain and develop trails for running and walking in our city parks. The trails are available to anyone who lives in or visits Houston looking for a place to exercise or find a green haven away from the hustle and bustle of Houston's big city life. Help preserve the trees! We were able to raise over $30,000 for the Houston Parks & Recreation Department in 2014. 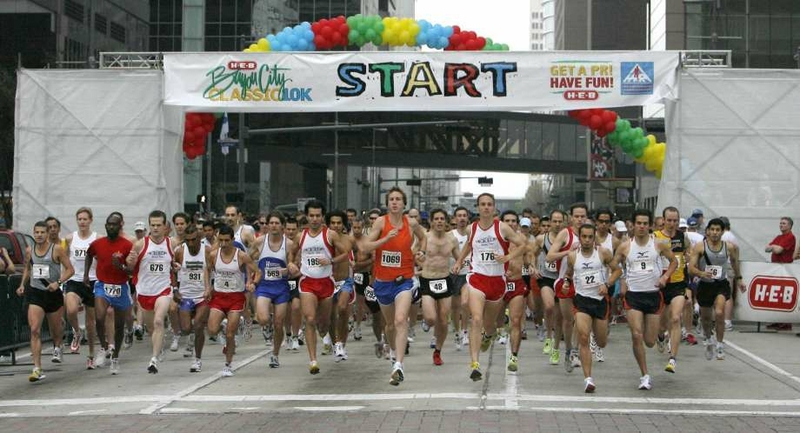 The race takes place in Downtown Houston.The Finish Lines for the two races is on Walker Street by City Hall. The race distances are 10 kilometers (or 6.2 miles) and 5 kilometers (or 3.1 miles). 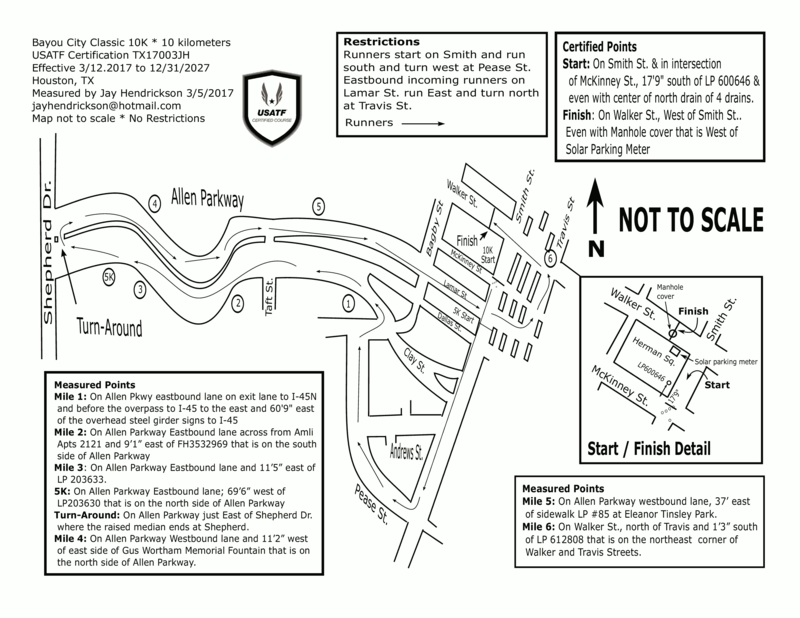 Our 10k race courseis certified by the Road Running Technical Council of USATF as TX15012ETM. The 10k course starts and finishes downtown near City Hall with a loop through Downtown and along Allen Parkway. The 5k race course is certified as TX17004JH. Our 5k course also starts and finishes near City Hall with a loop through Downtown and along portions of Allen Parkway. We have fabulous entertainment all along the course to help you groove along the way.